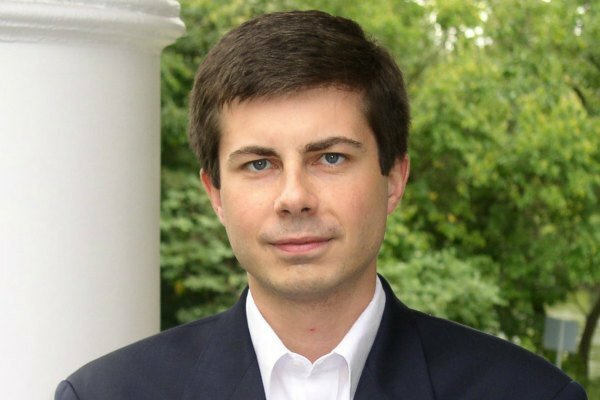 Out South Bend, Indiana Mayor Pete Buttigieg on Wednesday announced that he's forming an exploratory committee to run for president in 2020. Buttigieg, the seventh announced Democratic challenger to President Donald Trump, announced his exploratory committee in a video. While not mentioning Trump by name, Buttigieg said that “we cannot look for greatness in the past,” a possible reference to Trump's “Make America Great Again” slogan. “Exactly fifty years after the Stonewall uprising that gave birth to the modern LGBTQ rights movement, we are finally in a place where an openly LGBTQ presidential candidate can be a serious contender. For the teenager in small-town America who is just coming to terms with their sexual orientation or gender identity, having an openly LGBTQ person running for the most important political office in the world will demonstrate there is no limit to what they can achieve – and that is transformative,” she continued. Buttigieg came out gay in a 2015 op-ed and married Chasten Glezman, a teacher, in June. Announced Democratic presidential candidates include Senators Kamala Harris of California and Elizabeth Warren of Massachusetts, Hawaii Representative Tulsi Gabbard, former Maryland Representative John Delaney, former Housing and Urban Development Secretary Julian Castro and former West Virginia state Senator Richard Ojeda.